Here I am toward's the end of the anti-poll tax campaign in typically non-confrontational mode. 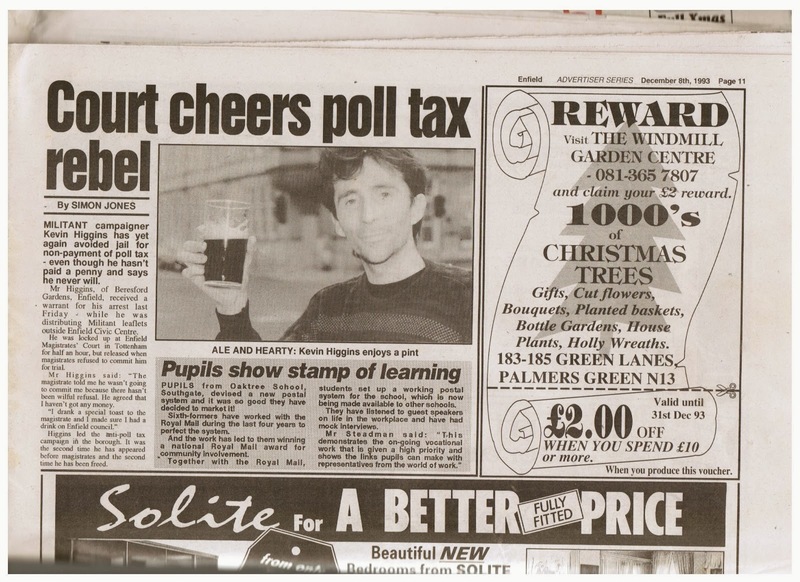 Having been arrested that morning and locked in the cells at Tottenham Magistrates Court; when I won my case, with a lot of help from my impromptu McKenzie's Friend Darrell Kavanagh, I did the only sensible thing one could do at 11am on a Friday morning: I went to the pub, where Darrell helped me celebrate and I posed for the local media. This is the good side of revolutionary activism; the darker side I deal with in my poem 'Camp Rules' which is published today on Harry's Place.